Welcome to O'bay - OARC's On-Line Swap-Meet. Hams can post hobby related items for sale within the amateur radio hobby community here. This service is FREE to all. If you have anything to sale contact the Swapmaster. eMail "Description, Price, Contact and Photo (optional). After your item sells, please let us know so we can removed the item from the listing. NOTE: OARC O'bay Item Needed. 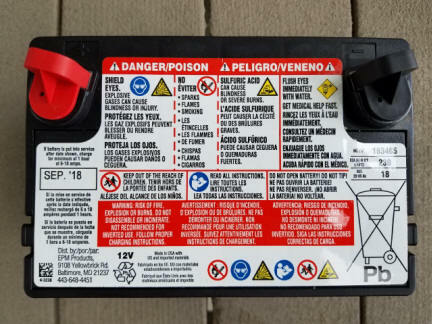 These are starting batteries, not deep cycle batteries. They are rated in cold cranking amps (CCA @ 0° F). The 20-hour amp-hour rating is given by the manufacturer for reference. They will run a Ham radio, but not the best choice. 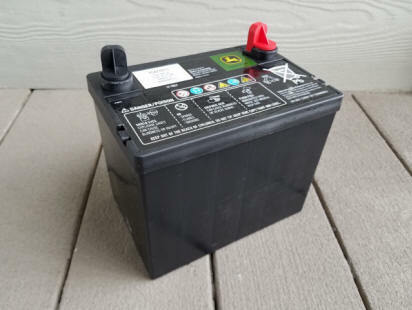 Possible use as a starting battery in some generators. 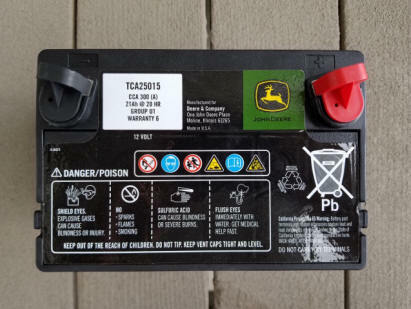 These batteries were removed from new, unused lawn tractors last year (2018). They have been in heated indoor storage since then. 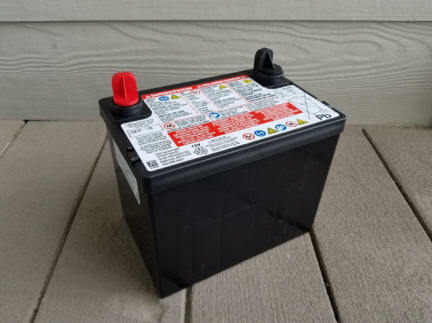 The date on the batteries is shown below. Both batteries just came off the charger and charged successfully, their no-load voltage is shown below. Both are size BCI Group U1 used in standard lawn tractors and other small equipment. Approximate dimensions are 7-3/4 wide x 5-1/4 deep x 6-1/4 (7-1/4 including terminals) high. Be sure the positive terminal is on the correct side for your equipment. I will bring them to the April 20th club meeting, or meet somewhere near Clearfield/Layton to deliver. $20.00 if you want both batteries. 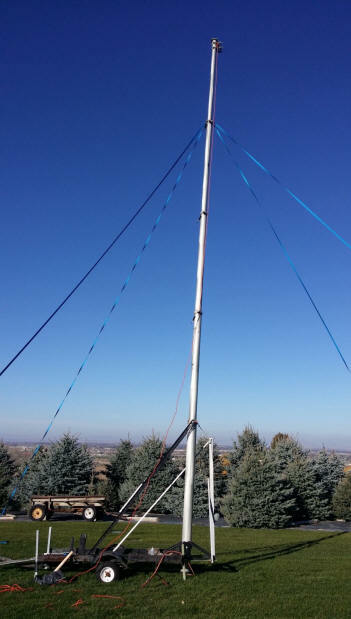 Rohn 25 antenna tower, 3 sections, 26 ft tall. 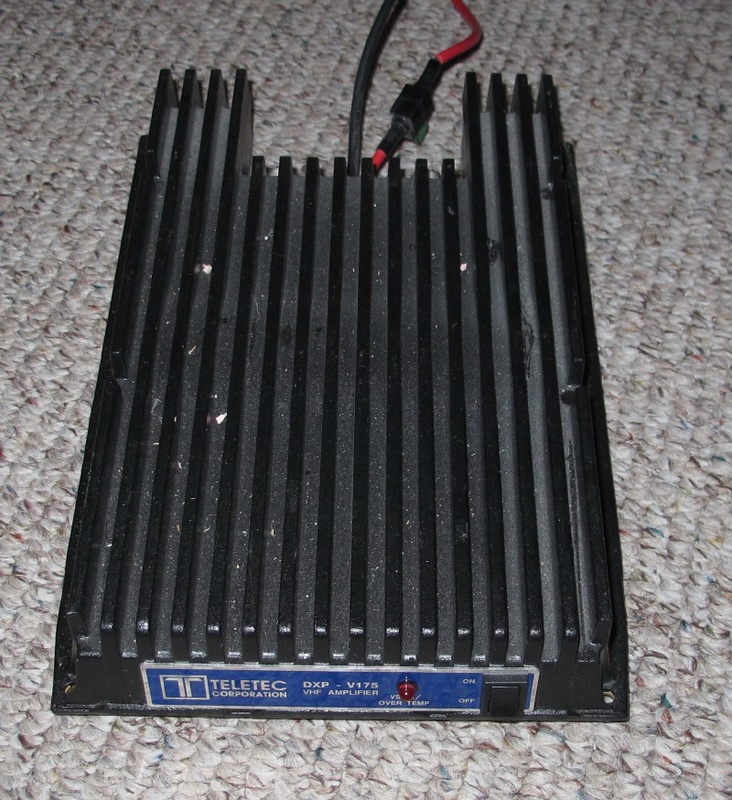 I have some new Sinclair 220 duplexers, rugged 5-element Sinclair yagis, and some Sinclair 220 isolator panels. No cost... was a donation from unused surplus federal equipment as they changed systems. 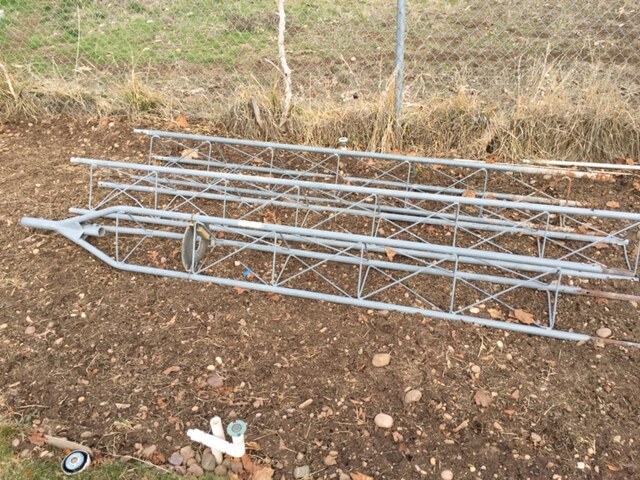 The January VHF contest is coming. I’ve decided I’m to old for mountain topping anymore and am selling my multimode equipment. PRICE: $675 for the lot. 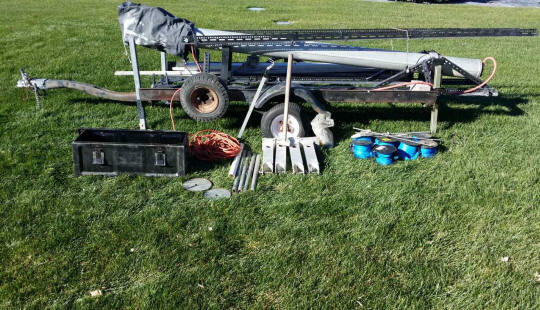 Will throw in two 20' TV masts and guys. Also assorted RG8 and RG213 coax cables. 40ft mobile air pushup tower. Includes spare tire for trailer, leveling feet for trailer and guy straps with ground stakes. Trailer requires 2 inch ball.